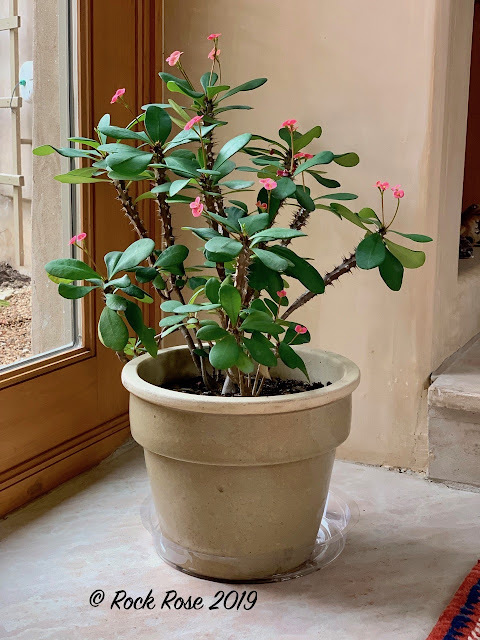 Since moving to Texas, with barely any down time for gardening outdoors, indoor gardening has slipped to a minimum, too difficult to take care of during long periods of travel. But as I look around the house on this rather miserable, chilly day I am surprised by how many plants I do have. Of course they are plants brought inside for the winter but the bonus is many are flowering. 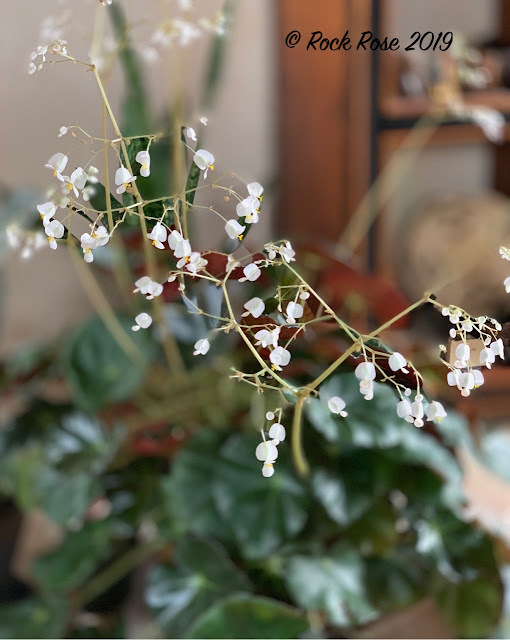 This cane begonia, Begonia 'Matchmaker' is a cutting from a plant that Gardeners' Supply used when filming here two years ago. I asked them if I could have a leaf from the plant and they generously left me the whole plant. The mother plant is in a large pot which I will prune well when safe enough to leave outside for the summer. I took two stem cuttings from the plant last year and rooted them in water. This is the first one to flower. 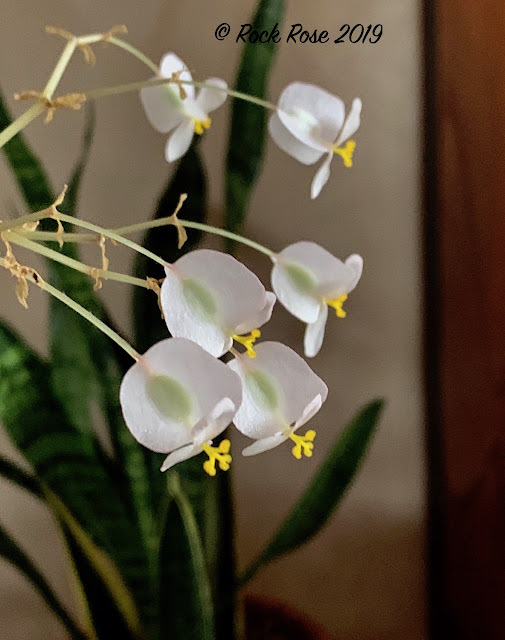 The leaves have this characteristic speckled appearance as well as the angel wing shape and their stem resembles bamboo, hence classified as a cane begonia. Another begonia is Begonia erythrophylla, more commonly named beefsteak. 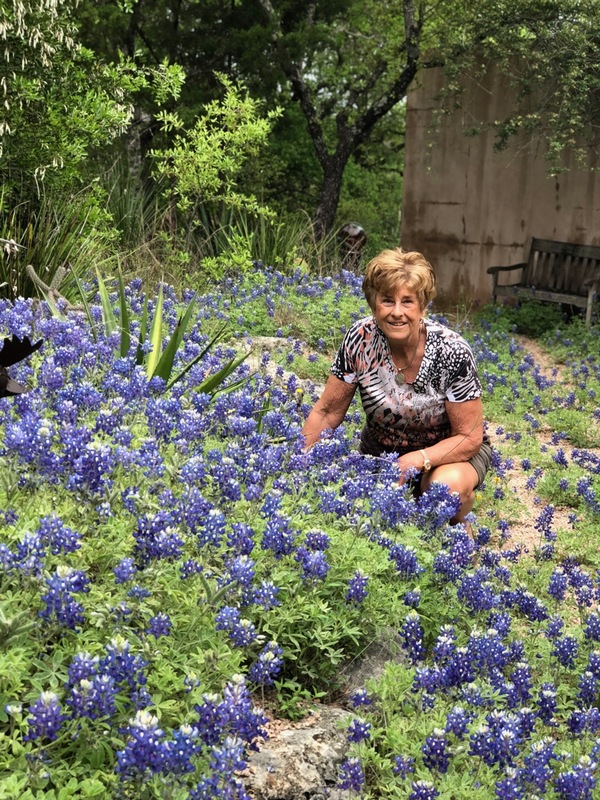 A passalong from Julie Marcus at the Wildflower Center. By contrast its towers are more delicate. The fallen petals lying on the ground are not unlike the wintry mix we have experienced over the last two days. On Friday I received another passalong, this Euphorbia milii var. 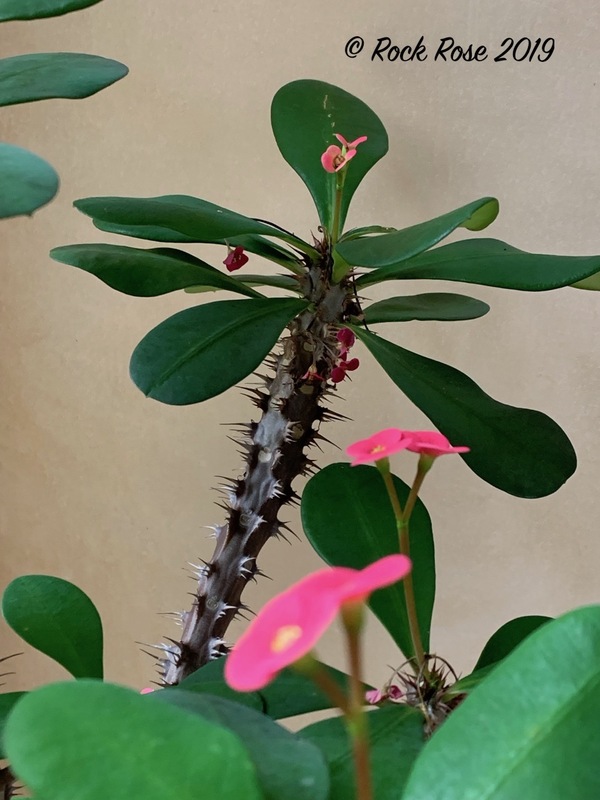 Splendens, Crown of Thorns, from a garden friend who is leaving town. The plant comes from Madagascar. Like its cousins, the poinsettias, the plant requires a certain amount of dark nights in order to flower. The flowers are easily recognized as those found on many euphorbias. The stems are thorny, being adapted for water storage, with the leaves dropping as they age. The plant requires little care as long as it receives a good amount of sun and sparce rainfall. Sounds like a perfect plant to put outside in a rain-sheltered position in my summer garden. 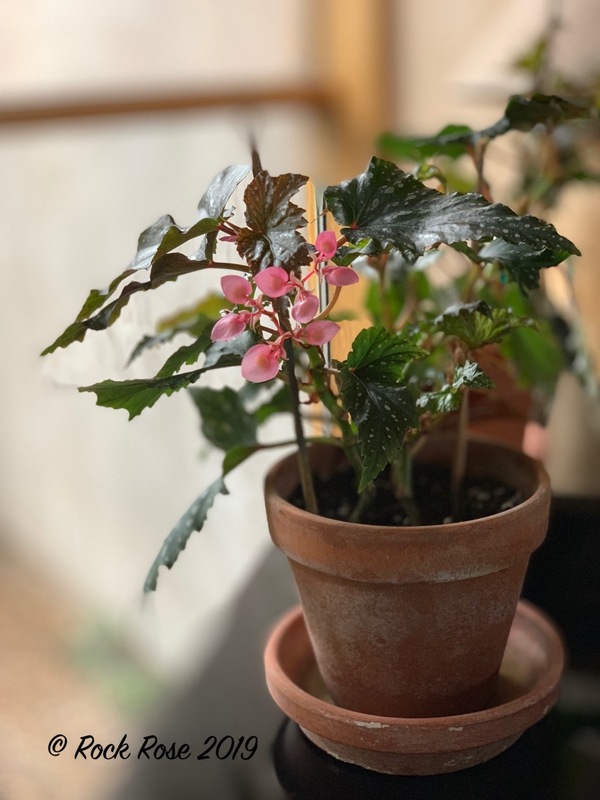 Your begonias are beautiful! 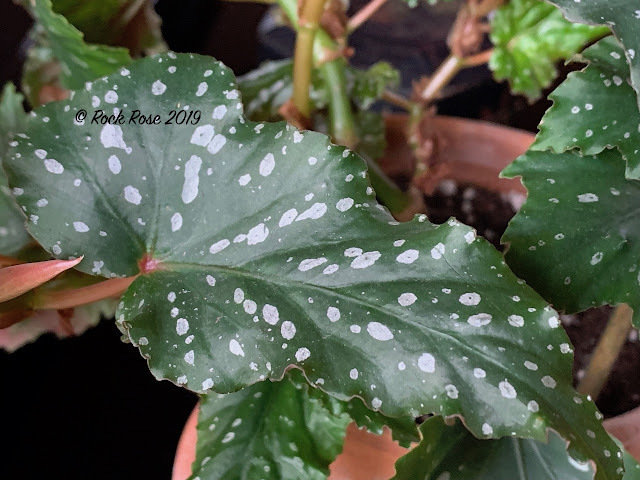 My houseplants usually suffer from neglect, though recently I've found some that are a little easier for me (bog plants I can just leave sitting in a tray of water). 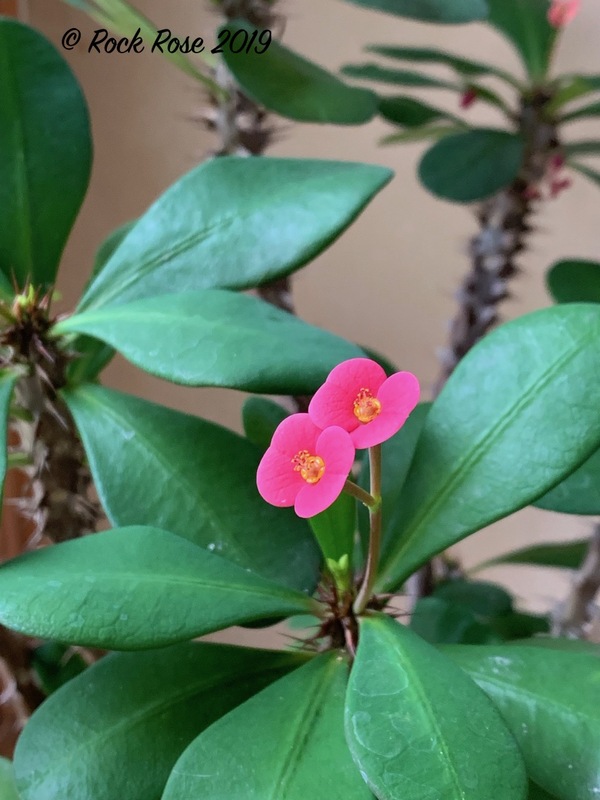 Crown of Thorns is so gorgeous, though I would be leery of growing something with such thorns. I have an aunt in India that has them planted in her outdoor garden and they do well. I love the begonia. I'd hoped I could recreate the success I had in growing begonias in my old garden by growing them in my lath house here but I'm still struggling in giving them what they want - I think they're colder than they like at the moment. 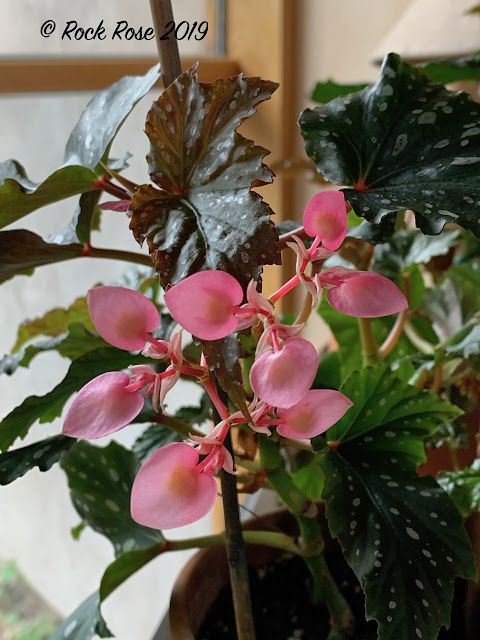 The Begonia is lovely--all the plants are. How nice to have so many of them flowering! House plants can be fun too! Yours are gorgeous, and they have nice stories attached to them. How fun to see propagated plants bloom. Living in a winter climate my very large stock of houseplants keeps me sane. Most of mine are the succulents you grow outdoors which I enjoy as winter bloomers indoors. I have very little in the way of indoor plants--too much to do outside year round. Your begonias and Euphorbia look lovely and happy indoors. Every time I see a garden,I always amazed how beautiful creation is this. I’m also surprised too how your plants became beautiful and attractive. But I think it will be more progressive if you will try to use Sprinkler Installation. Anyways,thank you for sharing.